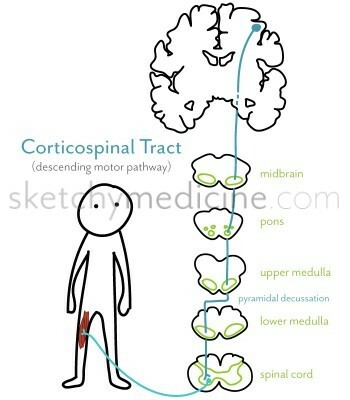 The Lateral Spinothalamic Pathway is an ascending spinal tract, carrying sensory information to the brain. It is typically depicted as a chain of three neurons: first-, second-, and third-order neurons. This pathway mediates sensation of pain and temperature. The first-order neurons in the pathway are located in the dorsal root ganglia at all spinal levels. Their axons ascend the tract of Lissauer, and synapse with second-order neurons. 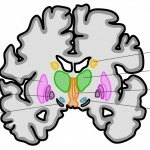 The second-order neurons are located in the dorsal horn, and their axons immediately decussate via the ventral white commissure. 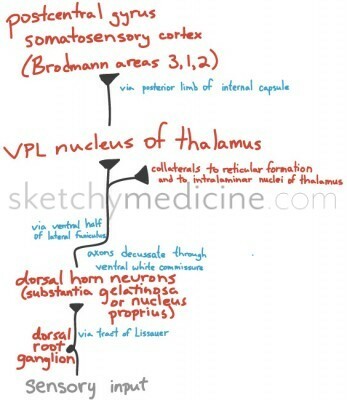 These axons ascend the lateral funiculus and project to the ventral posterolateral (VPL) nucleus of the thalamus. 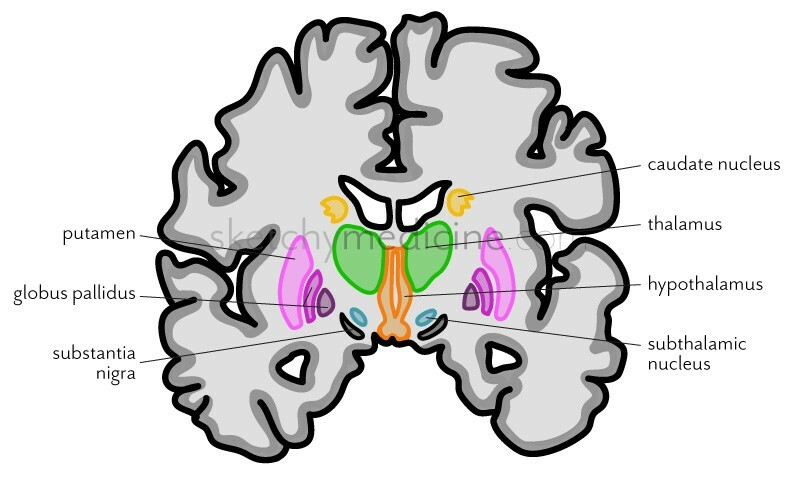 Some collaterals are sent to areas involved in arousal, namely the midbrain reticular formation, and the intralaminar nuclei of the thalamus (which then project to the caudatoputamen, and frontal and parietal cortex). The third-order VPL neurons send axons through the posterior limb of the internal capsule to the somatosensory cortex (areas 3, 1, 2). 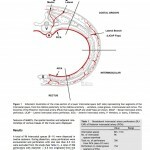 Spinal cord lesions affecting the Lateral Spinothalamic pathway result in contralateral sensory deficits below the lesion, because the pathway immediately decussates at the second-order neuron level. There is also a Ventral Spinothalamic Pathway, that carries crude touch sensation. It is organized very similarly to the Lateral Spinothalamic pathway; however, it is less clinically-emphasized since the Dorsal Column Medial Lemniscus pathway is more important for touch sensation. If the Ventral Spinothalamic pathway is lesioned, touch sensation will only be minimally affected, as long as the dorsal column remains intact. The basal ganglia are a group of nuclei in the brain stem and are associated with voluntary motor control, procedural learning and emotions. I’ve decided to go back to the good old days and have one where you can fill in the blanks. 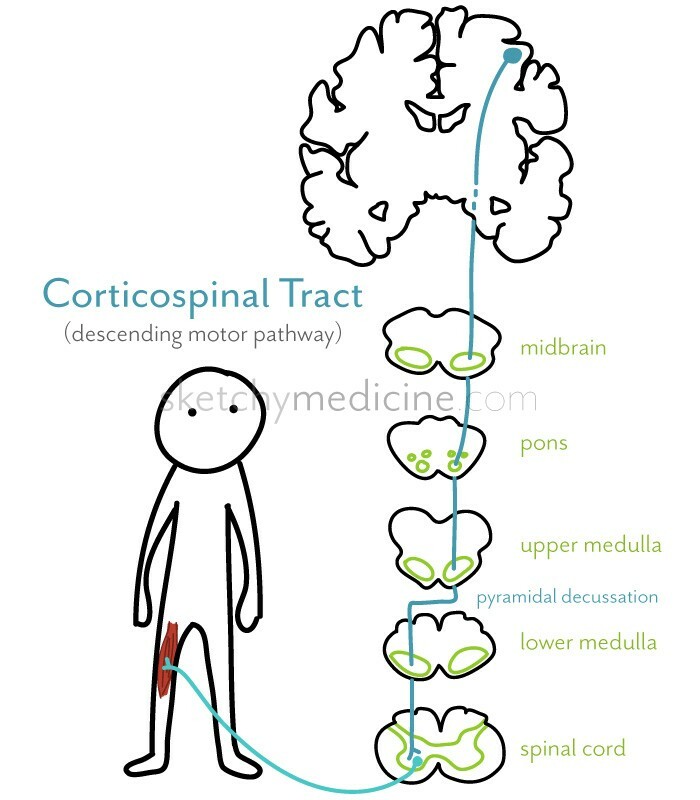 The Medial Lemniscus-Dorsal Column pathway is an ascending spinal tract, carrying sensory information to the brain. It is typically depicted as a chain of three neurons: first-, second-, and third-order neurons. 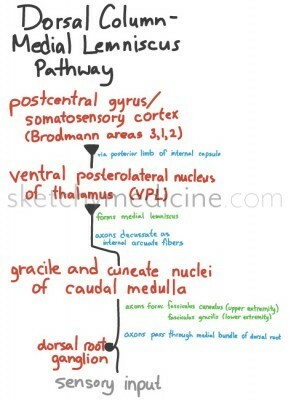 The first-order neurons in the pathway are located in the dorsal root ganglia at all spinal levels, giving rise to the fasciculus gracilis tract in the lower extremity and the fasciculus cuneatus tract in the upper extremity. The axons comprising these funiculi ascend ipsilaterally to the medulla, where they synapse with the second-order neurons. 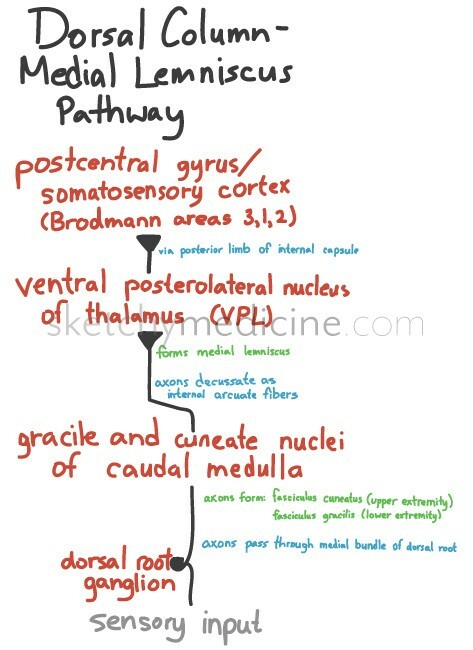 The second-order neurons are located in the cadual medulla, and their cell bodies form the gracile and cuneate nuclei. 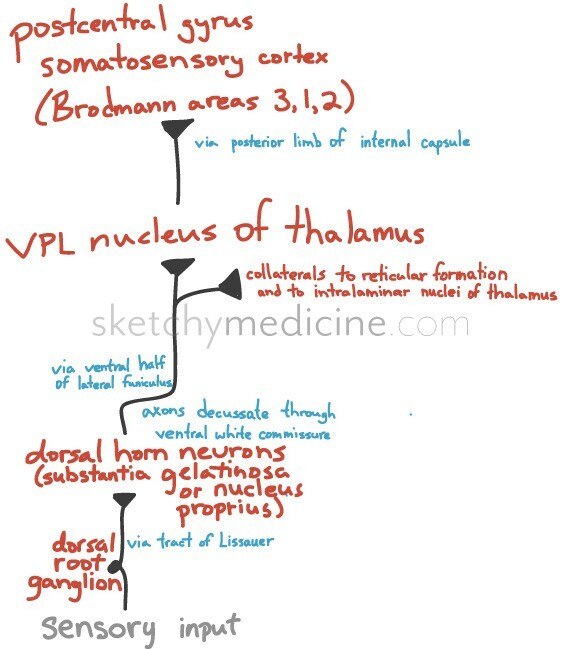 Their axons, referred to as internal arcuate fibers, decussate to form the medial lemniscus, which ascends the contralateral brainstem to project to the ventral posterolateral (VPL) nucleus of the thalamus. Spinal cord lesions affecting the dorsal column (e.g., vitamin B12 neuropathy, tabes dorsalis) result in ipsilateral sensory deficits below the lesion, because the pathway does not decussate until it is at the level of the medulla. Typicals are characterized by strong D2 antagonism in the mess-limbic and meso-cortical pathways. This can also lead to significant extrapyramidal symptoms (EPS). They also have strong CYP-450 metabolism (which means lots of interactions with other drugs and grapefruits). Atypicals have less risk for EPS, but carry a higher risk for metabolic side-effects and weight gain. While they bind to D2 receptors (like typicals), atypicals have higher affinity for serotonin (5HT) receptors. 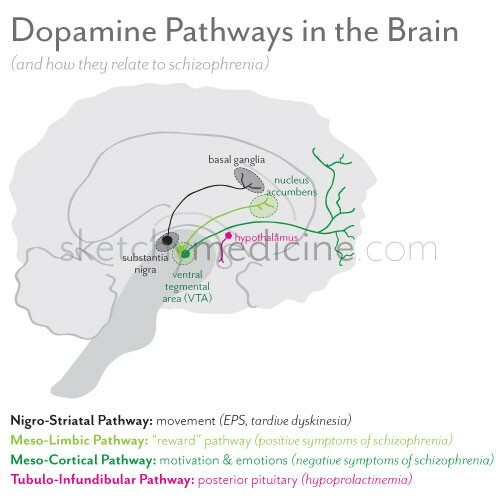 Clozapine is a little different from the other atypicals in that is has been shown to have a shorter half-life, which is thought to be why it doesn’t produce as many EPS. However it has the very specific (and serious) risk of agranulocytosis. The periaquaductal grey pathway is the descending pathway that helps modulate pain. There are so many double/triple/quadruple negatives in this pathway it makes the head spin. 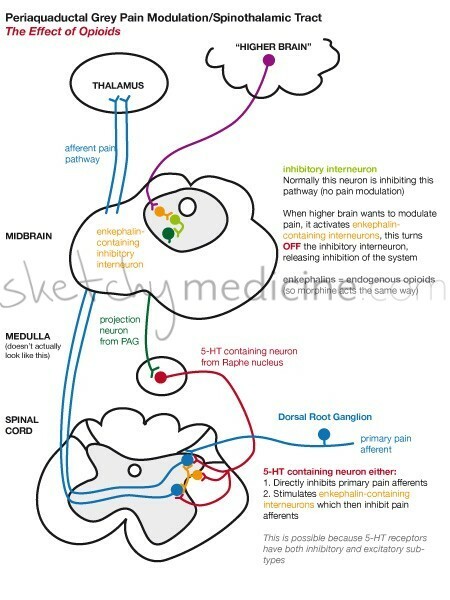 Who knew that the activation of the inhibitory interneuron would inhibit the other inhibitory interneuron, releasing inhibition of another neuron only to inhibit pain?